Jean-Jacques Rousseau (1712-1778) is a major figure in Western Philosophy and is one of the most widely read and studied political philosophers of all time. His writings range from abstract works such as On the Social Contract to literary masterpieces such as The Reveries of the Solitary Walker as well as immensely popular novels and operas. 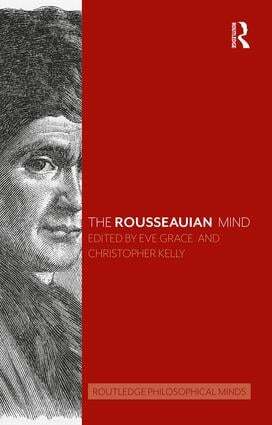 Essential reading for students and researchers in philosophy, Rousseau’s work is central to the study of political philosophy, the Enlightenment, French studies, the history of philosophy and political theory. 13. How Would Rousseau Have Answered the Scots? II. The Major Texts of the "System"
35. Who Needs Civil Religion? Eve Grace teaches political philosophy at Colorado College, USA. She is co-editor (with Christopher Kelly) of The Challenge of Rousseau (2013) and of Rousseau on Women, Love, and Family (2009). Her most recent piece is 'Beyond the realms of dream that fleeting shade' in Love: The History of a Concept ( forthcoming). Christopher Kelly is Professor of Political Science at Boston College, USA. He is the author of Rousseau’s Exemplary Life (1987) and Rousseau as Author (2003). He is co-editor of The Collected Writings of Rousseau (with Roger D. Masters) and The Challenge of Rousseau (with Eve Grace, 2013). In philosophy past and present there are some philosophers who tower over the intellectual landscape and have shaped it in indelible ways. So significant is their impact that it is difficult to capture it in one place. The Routledge Philosophical Minds series presents a comprehensive survey of all aspects of a major philosopher's work, from analysis and criticism of their major texts and arguments to the way their ideas are taken up in contemporary philosophy and beyond. Edited by leading figures in their fields and with an outstanding international roster of contributors the series offers a magisterial and unrivalled picture of a great philosophical mind.